In October 2012, the Texas Department of Housing and Community Affairs announced a new program called My First Texas Home, an incentive program for first-time home buyers. Over $600 million in home buying assistance is available; more money than the state has ever offered before through similar programs. Since many of LGI Homes’ communities are located in the great state of Texas, this program is great news for Texans looking to purchase their first home in one of our neighborhoods. In order to learn how this program could help make your dream home become a reality, we’ve created this comprehensive guide to help you determine if you qualify. My First Texas Home is a government backed program designed to assist first-time home buyers in Texas. What is the My First Texas Home Program? – It’s a government backed housing program targeted toward Texas residents who are first-time home buyers. It allows qualified Texans access to home loans with competitive interest rates, as well as down payment and closing cost assistance. This way, people who might not normally be able to afford all of the up-front costs of purchasing a home can still do so. The amount of down payment and closing cost assistance granted varies based on availability of funds, but everyone accepted gets access to the mortgage benefits. Who qualifies for the program? – In order to qualify, you must be a resident of Texas and may not have owned a home in the past three years. You must also qualify under FHA, RHS or VA guidelines. What kind of house can I buy? 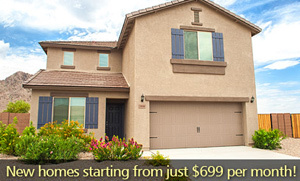 – The program allows you to purchase any new or existing single-family unit. This includes single-family homes, single-family units in condominiums and duplexs. What kind of mortgages are available? – All mortgages offered through the My First Texas Home program are 30-year fixed-rate mortgages. Currently, the interest rate is locked in at 4%. How do I apply? – You can prequalify for your mortgage through the Texas Department of Housing and Community Affairs website. Once you’ve found the home of your dreams, you need to collect recent bank stubs for all of your accounts, pay stubs for the past three months, tax returns from the past two years, your W-2 forms from the past two years, proof of current income and information about any long-term debts you currently have, such as student loans or auto loans. You can then fill out your application through the website. Here at LGI Homes, we pride ourselves in building communities that appeal to residents of all ages; including children. From neighborhood parks and playgrounds to community pools and walking trails, our communities are designed with families in mind. While we’re sure your children will love living here once you’re settled, we understand that moving with kids poses many unique challenges and can be an emotionally trying experience. Follow these tips to make your family’s transition to your new home as seamless as possible, plus an adventure for the whole family to embark upon and enjoy together. Anyone who has made a big move as a child knows that leaving friends behind and making new ones is easier said than done, which is why we’ve created 7 tips to help you and your family. 1. Make the Move Exciting – It’s common for children to become depressed at the idea of moving to a new place, even if it’s only a few towns up the road. Instead of simply telling them that you’ll be moving and allowing their natural fears and insecurities to take hold, intervene and make this transition something fun and exciting. Focus on the adventure aspect and all of the new places you’ll have to explore together. Stress the importance of their assistance in moving to give them a sense of responsibility. 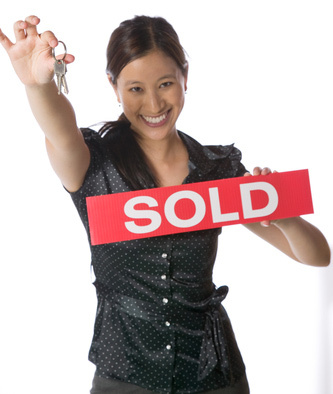 The more optimistic and positive you are about the move, the more receptive to the idea they’ll be too. 2. Include Them in the Process – When you’re touring our community, bring the kids along and let them have a say in the house you choose, especially if they are older. Ask for their input regarding the different floor plans, and ask them how they would decorate each room if it were there own. Including them in the process will help them get excited about the move, and will show them you value their opinions. 3. Cut Down on the Clutter – Chances are, you’ve got boxes upon boxes of old toys and clothes from your child’s younger years that aren’t being used anymore. To minimize the amount of stuff you have to move and the clutter upon arrival, sit down your you children and go through their old belongings together. Sort out what can be donated and what needs to be kept. Including them in this process is better than simply getting rid of the items without their knowledge. 4. Have a Goodbye Party – One of the most difficult parts of moving for children is the realization that they won’t see their friends as often, and the farther away you’re moving, the harder this will be for them to handle. 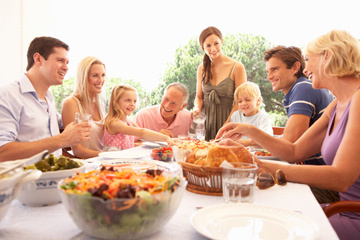 Give your children the chance to gather with all of their friends one last time by hosting a goodbye party. Set out a guest book for all of their friends to sign, and ask them to include their addresses, phone numbers and emails to make staying in touch easier. Modern technology has made it easier than ever for people to stay close despite distance, and stressing this fact to your kids is essential in making the transition less painful. 5. Don’t Pack Everything at Once – While it may be tempting to load up the boxes right away once you know you’re moving, you don’t want to pack up your child’s belongings too quickly. Children are often very emotionally attached to their toys and items, and not having access to their favorites can be stressful. Furthermore, living in a house full of boxes for weeks on end can cause them to lose their sense of home and security. Pack up as much as you can while leaving the essentials out for as long as possible. 6. Have Entertainment for the Road – If the trip to your new home is more than a few hours long, be sure to load up the car with plenty of snacks and entertainment to keep your kids satisfied on the drive. 7. Be a Tourist in Your New Town – Once you’ve settled down in our community, spend some time checking out everything your new town has to offer with your children. This includes our neighborhood amenities as well as local attractions. Our communities are all built to provide convenient access to a wide variety of shopping, dining and recreation opportunities, and your kids will love getting to see all of the exciting places in their new area. If you are a first-time homeowner, it is important to understand every aspect of your loan that can have significant financial impacts, such as mortgage interest. The purchase of a new home requires learning all about various aspects of homeownership (financial, legal, and practical) that can be overwhelming to a first-time homebuyer and homeowner. As part of our ongoing All About series, LGI Homes seeks to provide an easy-to-read and easy-to-understand resource that goes in-depth on a variety of subjects connected to buying a home. Today, we explore the world of mortgage interest rates and how they will play into your experience of buying and owning a home. What are mortgage interest rates? – When you borrow money from a lender to pay for your home, lenders agree to lend you the money under the condition that you pay it back, plus interest, within a certain period of time. Interest is a specific percentage of the total loan you have to pay along with paying back the loan. This is how lenders make their money in order to continue offering loans. Your mortgage rate is the additional percentage you owe plus the cost of the loan. 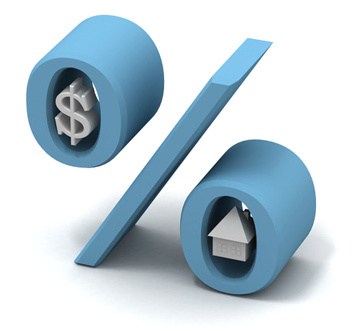 Are there different types of mortgage interest rates? – There are three different types of mortgage rates available to homebuyers. A fixed-rate is a set interest rate that will remain the same from your first payment to your last. Every month for the entirety of the loan, your payment will be exactly the same. A variable interest rate is a fluctuating interest rate that changes based on the condition of the current market. It could lead to lower interest payments in the future if the market is in great shape, or it could drive your payments up if the market suffers. An adjustable rate mortgage (ARM) effects both your interest rate and your loan payment, and both are based on current market conditions. This is generally considered a risky investment. What determines my mortgage interest rate? – Mortgage rates are primarily determined by current market conditions, though lenders have a bit of room to set their own rates. This is how the market stays competitive. Can I lower my mortgage interest rate? – In order to lower your monthly mortgage, you’ll have to refinance your home. In order to refinance, you must be current on payments. Refinancing is basically a fancy way of saying that you are trading in your old mortgage for a new one. You can do it through your current lender, or find a new lender to refinance through. Essentially, you borrow a new mortgage and pay off the old one with it, and then make monthly payments toward the new loan. Along with your new mortgage, you will have a new interest rate, which could be lower depending on market conditions. Many homeowners elect to do this when the market makes a quick turnaround and interest rates drop dramatically. How can I minimize the amount of interest I pay? – Mortgage payments add up over time, and add a lot of money onto the total amount you pay. In order to minimize the total amount of interest you pay, you can try to make payments higher than your monthly minimum on your mortgage. This way, the principle balance is paid off faster, and you are finished paying the loan sooner with less years for the interest to build. Should You Piggyback Your Mortgage? Homebuyers today are getting creative when it comes to how they finance their homes – and how they save money. Not all mortgages are created equal, and some financing options could cost you more in the long run than others. A popular financing option many buyers are turning to is the piggyback mortgage, which involves taking out two separate loans to finance the purchase of a house. If you’re new to the home buying scene, this term might be Greek to you, but today we’ll explain what a piggyback mortgage is, how it might benefit you and what disadvantages it might present. This way, you can make an educated decision about how you finance your home purchase. What is a piggyback mortgage? – A piggyback mortgage is essentially what it sounds like – one loan riding on top of another. Instead of taking out one loan to cover the entire cost of purchasing a home, a borrower takes out a loan that covers 80% of the home’s value and a separate loan that covers 10% of the home’s value. Typically, the borrower pays the remaining 10% as a down payment on the house. For this reason, a traditional piggyback mortgage is also known as an 80-10-10 loan. How will I benefit? – Piggybacking a mortgage can be a great way to save money when you’re purchasing a home, because you won’t have to carry a private mortgage insurance (PMI) plan. PMI really doesn’t benefit homeowners, so it’s an unnecessary expense many owners would rather avoid. A PMI is often required if you don’t have a 20% down payment on hand, but when you piggyback a mortgage, you don’t need to spend that much upfront. Typically, only a 10% down payment is involved in this financing method. You may also qualify to buy a larger home using this method, acquire a lower monthly payment, and the interest on your second mortgage is tax-deductible up to $100,000. Are there any downsides? – While there are certainly some excellent benefits to piggybacking a mortgage, there are also some disadvantages. You might have a higher interest rate on your two loans when using this financing method. You’ll also have to pay closing costs on two mortgages instead of one. Additionally, you might not get the full tax benefits if your second mortgage is over $100,000. How do I qualify? – In order to qualify for two loans, your credit needs to be in top shape. The application process is the same traditional mortgages, except you’ll apply for two loans instead of one. How do I decide? – If you can afford a 20% down payment, a traditional single mortgage will likely be much more beneficial to you than taking out two loans. You’ll have to pay PMI until the loan reaches 80% of your home’s value, but then this payment will cease. If you can’t afford a 20% down payment but 10% is easily attainable, a piggybacked mortgage is much more likely to benefit you in the long run. The Village of Decker Oaks Has Sold Out — But Never Fear, New Homes Are Near! If you’ve had your heart set on owning an LGI Homes’ house and you had your eye on our Village of Decker Oaks community, we’re sorry to say the neighborhood has sold out and the Village is completely full. However, we’re excited to announce the opening of a brand new community in Northwest Houston! That’s right, with the opening of the Lakes of Magnolia community, you can still purchase an LGI Home’s house in the Tomball area, and we’re sure you’ll love the many features and amenities our newest neighborhood has to offer! Located just off of Highway 239, the stunning community of Lakes of Magnolia puts you right in the center of everything Montgomery County has to offer, and with homes starting at just $679 per month, some of the lowest prices you’ll find for new homes in Northwest Houston. Our spacious, functional 3-, 4-, and 5-bedroom floor plans and oversized lots make this an idyllic place for families of all sizes, and the neighborhood’s homes contain all of the luxury, state-of-the art features that have helped us secure our reputation for superior quality and excellence. Every single house in Lakes of Magnolia contains over $10,000 worth of upgrades – included in the price! You’ll love serving up meals and spending time with family in your brand new kitchen, complete with granite counter tops, custom cabinets, quality appliances and brushed nickel fixture and hardware. You’ll enjoy privacy and safety with a fully-fenced backyard, as well as the convenience of having a utility room right in your house. All of our homes feature gorgeous front yard landscaping, as well as two-car garages. Once you step outside your front door, you’ll enjoy even more amenities that the entire family can enjoy. Lakes of Magnolia includes a family park and children’s playground, as well as a pavilion, picnic areas and walking trails. Truly, you’ll find plenty of opportunities to spend time outdoors and have fun with your children without ever needing to leave the convenience of the community! So what are you waiting for? All we’re missing is you! Contact LGI Homes today to learn more about the Lakes of Magnolia community and we’ll be here to help you through every step of your home buying journey. Check out our No Money Down purchasing option, and see if you qualify to move into one of our new homes with no down payment required! As a new homeowner, it’s natural to experience some growing pains as you adjust to your new life, and you’ll probably make a handful of mistakes during the first few years of owning your own home as you get used to your new responsibilities. Some mistakes, however, can have a huge long-term impact on your life as a homeowner. Fortunately, they are also easy to avoid. By familiarizing yourself with some of the most common mistakes new homeowners make, you can take the necessary steps to ensure you don’t make them yourself. 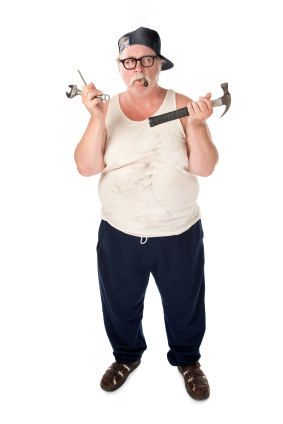 One of the more common mistakes that new homeowners make is to hire the cheapest handyman for minor repairs; however, this could lead to much bigger problems down the road. Paying a deposit in advance – When hiring a moving company to transport your belongings to your new house, avoid any company that asks for a deposit upfront before the move is complete. A reputable company will ask that you simply pay the bill in-full upon delivery, so you have the chance to make sure that everything arrived and got to your home in one piece. Filing their own tax returns – Filing taxes as a homeowner is vastly different from filing as a renter. Now that you own your own home, you qualify for a number of deductions and credits that were never previously available to you. New homeowners are often confused the first time they file taxes after purchasing a home, and are prone to overseeing big write-offs that could have raised their return amount – or awarding themselves deductions they don’t really qualify for and getting audited. For at least the first year of owning your own home, hire a professional to file your taxes and explain the process to you. Failing to get proper insurance coverage – Not every homeowners insurance policy offers the same amount of coverage, and new homeowners often fail to take out enough insurance to fully cover their homes. This becomes a problem when an accident or disaster occurs and homeowners don’t have enough money to repair the damage – and their policy doesn’t award enough to pay for it either. From your liability provision to your additional living expense coverage, make sure that every part of your homeowners insurance policy provides adequate coverage. Failing to keep up with routine maintenance – When you’re used to renting, you’re used to having a maintenance man to keep up your property and make any necessary repairs at no cost to you. When you own your own home, you become your own repairman, and it’s your job to keep every element of your house in top shape. New homeowners often neglect to perform seasonal checks and maintenance on their home systems, appliances and landscaping, which can lead to the need for big repairs down the road. 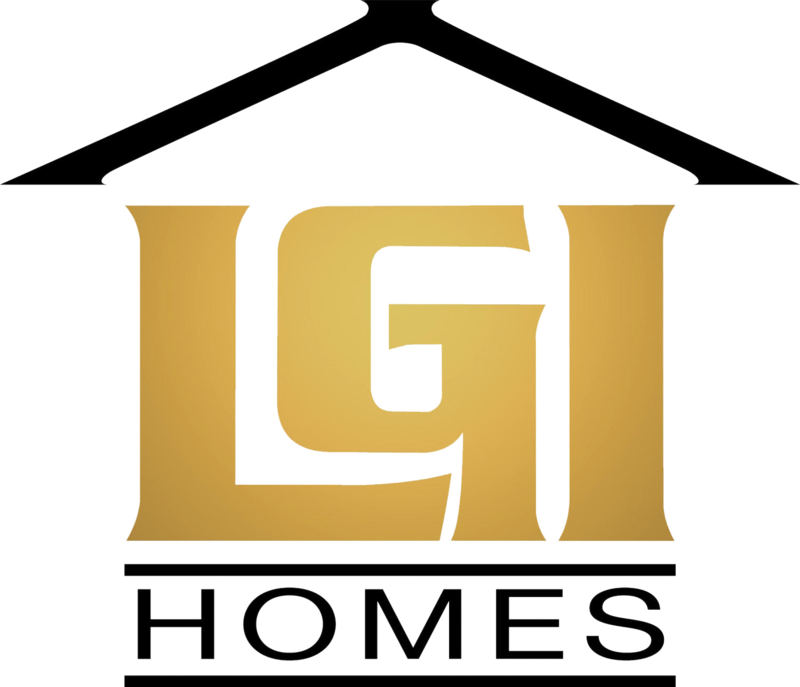 Selecting repairmen based on cost rather than reputation – In the event something in your home breaks down and you’re no longer protected by LGI Homes warranty plan, you’ll need to hire a repairman to fix it. New homeowners often try to save money and hire the cheapest repairman they can find, but oftentimes, you get what you pay for when it comes to home repairs. While quality, low-cost repair companies may very well exist, it’s essential that you thoroughly research a company before hiring to ensure that they have a positive reputation. Otherwise, the repairs could be done incorrectly – and cost you even more to have the repair done the right way by someone else.